Damage/Repair Minor tarnishing and general wear. Pendant Size 4 x 5 inches. See picture with penny for size comparison (US penny is 19 mm diameter). 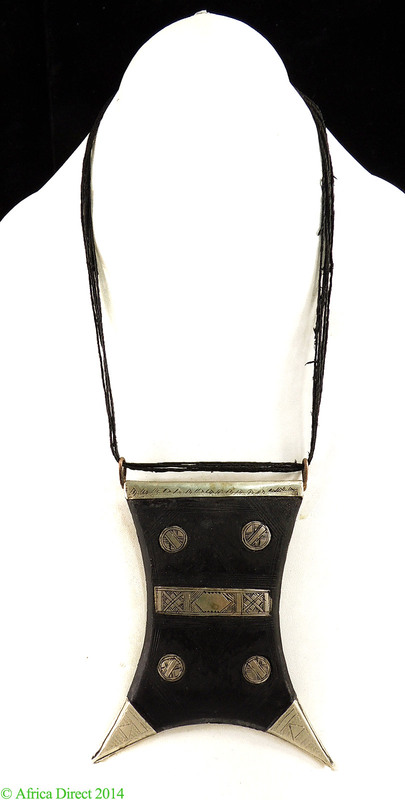 Tuareg talisman boxes or "Tcherots" were worn on necklaces by Tuareg women and on Tuareg men's turbans. 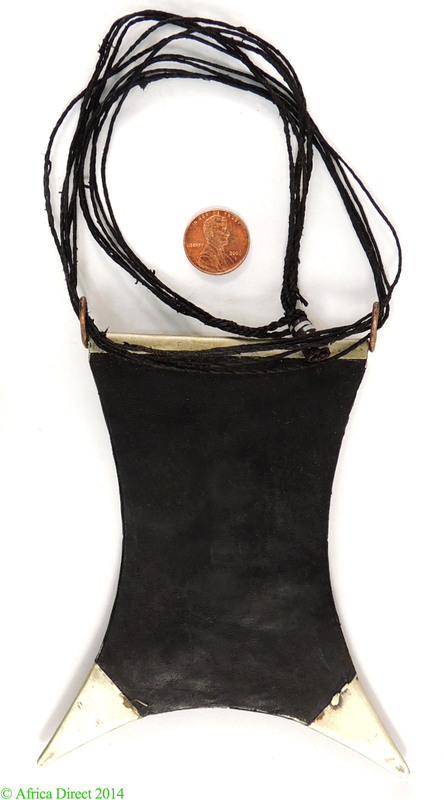 They contain verses of the Quran and were worn as protective amulets, for fertility and for strength. Tuareg girls are given Tcherots by their mother when they reach the age of seventeen. The Tuareg are a nomadic people of Niger and surrounding countries. They are tall, and a Tuareg woman can pack an entire household on a camel in two hours. Their skin is blue-black, from the indigo rubbed into cloths wrapped around their faces to keep out the desert sun and sand.